Today I am sharing a sweet DIY project! 1. Booties! 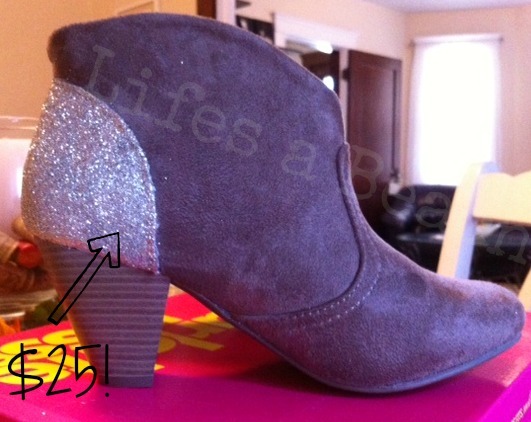 I bought really cheap shoes at a store called Charlotte Russe on sale for only $15.00! That way if they came out like crap I would be able to throw them away without feeling guilty. Step 2. 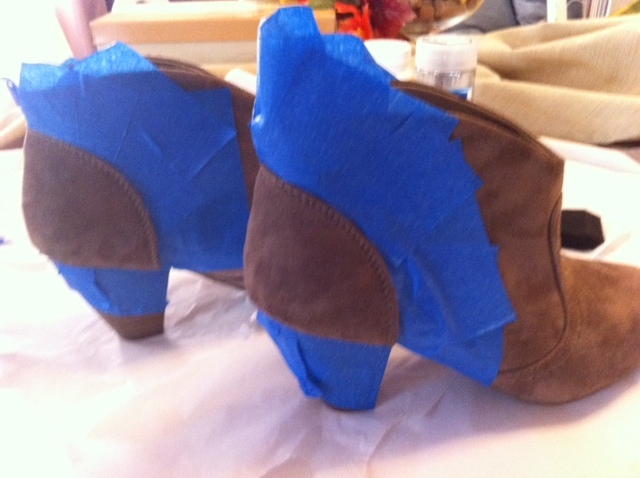 Paint the FABRIC PAINT on the area that you want to cover with glitter. Sprinkle DUMP that glitter generously all over the glue! Step 4: Let the top layers dry for a few hours and then repeat Step 3 again. 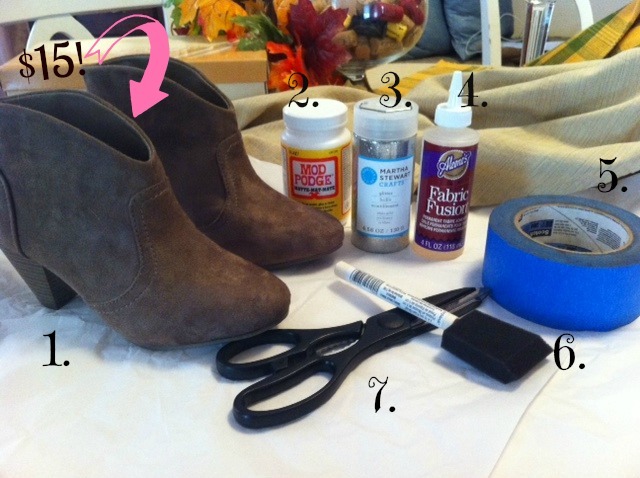 Step 5: Let Boots dry for a few hour, then Apply Mod Podge all over the glitter and let dry. 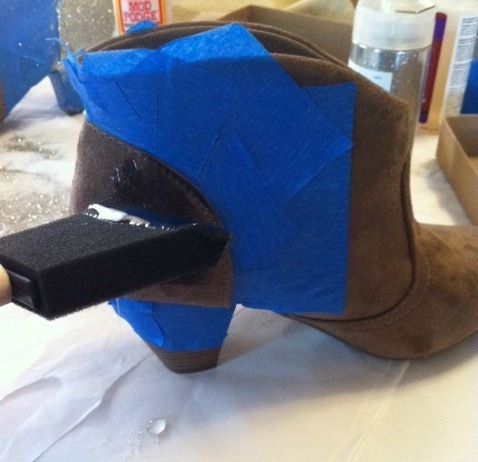 Step 6: Enjoy your new Glitterized Booties! 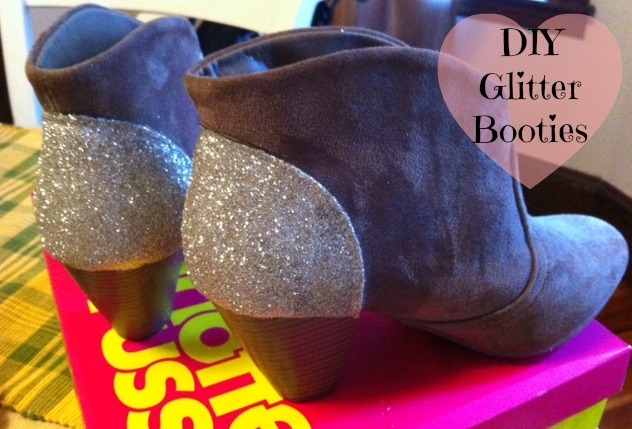 Who doesn't LOVE Glitter, A DEAL and a SWEET DIY Project!? Let me know if you make your own!! What a GREAT idea!! They came out awesome - love them!